Sorry, tickets have now sold out. Please join the waiting list and we'll be in touch should a space become available. Join your fellow DBA members and leadership expert Sally Henderson at our first breakfast event of the year for an enlightening discussion about channeling leadership for satisfaction and growth in the design industry. Employee motivations around work are changing, and strong leadership is key to giving your team the freedom to grow professionally. With the new year upon us, how will you manage shifts in expectations and motivations and understand how to channel ambition in staff, or yourself, to improve satisfaction and retention as well as keeping recruitment costs down? Ensure empowerment, not isolation, is the prevailing sentiment in your design business in 2019 and gain the skills to tackle challenges facing the creative industries in the years ahead. This event will give you invaluable insight into the leadership challenges Sally has uncovered in her 24 years’ experience as an industry change mentor. She'll offer a wealth of practical advice you can implement to avoid the common pitfalls and rise above the competition. Don't miss this opportunity to build and strengthen your local network, sense check your business’s direction and share best (or worst) practice in an intimate environment with an experienced group of your peers. 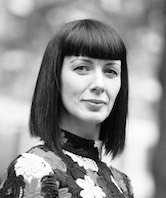 Sally has over two decades experience in the creative industries helping high performing senior leaders and world-class organisations change how they think, feel and act to achieve full success. She’s not afraid to challenge convention in pursuit of her clients' ambition. Her focus is across highly commercial and practical business change needs, right through to deep leadership transformation. The result? Greater leaders. Better business. Richer lives. If arriving by train, exit King's Cross station via the Regents Canal exit. On your right you'll see Leon and next to it, Google. Conran Design Group opposite this at 3 Pancras Square. Note, this event will take place in the Havas rooms of the Conran Design Group building. If you are having trouble locating the venue, please call Havas at +44 (0) 203 196 9000.